Bridgewater Triangle, a 200 square mile area in southeastern Massachusetts in the United States has a long history of paranormal activity. The triangle includes Abington, Rehoboth and Freetown at the three points. Triangle also comprises towns like Bridgewater, West Bridgewater, North Middleboro, Segreganset, Dighton, North Dighton, Berkley, Myricks, Raynham, East Taunton and Taunton. In the center of the triangle is the mysterious Hockomock Swamp or the Devil’s Swamp. The Triangle has been attracting many paranormal experts and ghosts hunters because of the mysterious happenings. The Hockomock Swamp is an area of around 5000 acres. The Wampanoag people call it Hockomock which means “place where spirits dwell”. The swamp is very dense and difficult to navigate. Hockomock is believed to be a home to spirits, strange animals and many other things. People have reported seeing ghosts and flying creatures here. There are Giant Dogs with red eyes, flying dinosaurs see in the swamp. There also have been reports of Bigfoot sightings. A shaggy half man, half ape had been seen in the woods. In 1978, paranormal researcher Joe DeAndrade was standing near a pond in the Swamp. He saw a 7-feet tall brown and hairy big apish-man walking in the woods. After five years in 1983 John Baker a fur trapper reported of seeing a similar creature. It is said that the Bigfoot has killed the pigs and sheep of the local farmers. Many attempts were made to search the Bigfoot but all failed. In the early 1900s, there have been reports of UFO sightings in the area of the swamp. The place is also an 8,000-year-old Native American burial ground. It is said that when the archeologists opened the graves in the area, the red earth in the tombs bubbled and then disappeared. Some feel that the Swamp is cursed by the Native Americans who were poorly treated by the Colonial Settlers. The swamp saw some of the bloodiest massacres and most of the Wampanoag tribe was killed and their land was taken away. The wounded and pained spirits of the Wampanoag are believed to be haunting the place. The ghosts of the natives are seen paddling the canoes. Besides the Native American ghosts, reports of some other ghosts are heard from the Bridgewater Triangle. A mysterious truck has been seen on the Copicut road. The truck driver follows the travelers closely. He continuously honks the horn and makes wild motions with his arms. After some time the truck disappears. In Rehoboth there is a one-room school Horbine. The school was built in 1840s and was running till 1937. After the building was renovated in 1968 strange voices are heard from the school. Some say that the renovation had awakened some spirits. On Route 44 in Seekonk, motorists have reported seeing a man with long red hair and full beard. This ‘red-headed hitchhiker’ is seeing walking along the roadside. If someone stops to pick up the man, he disappears. Some have reported driving through him. 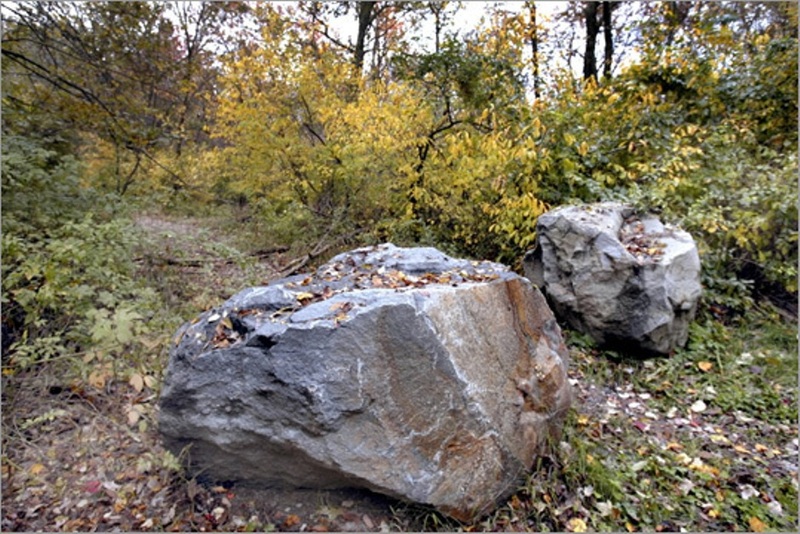 Profile Rock in Bridgewater Triangle is another site of paranormal phenomenon. This Profile Rock located in Freetown was considered sacred. People claim that the ghosts of the Native American warriors dance around the Profile Rock. With the stories of ghosts, strange animals, UFOs, etc. 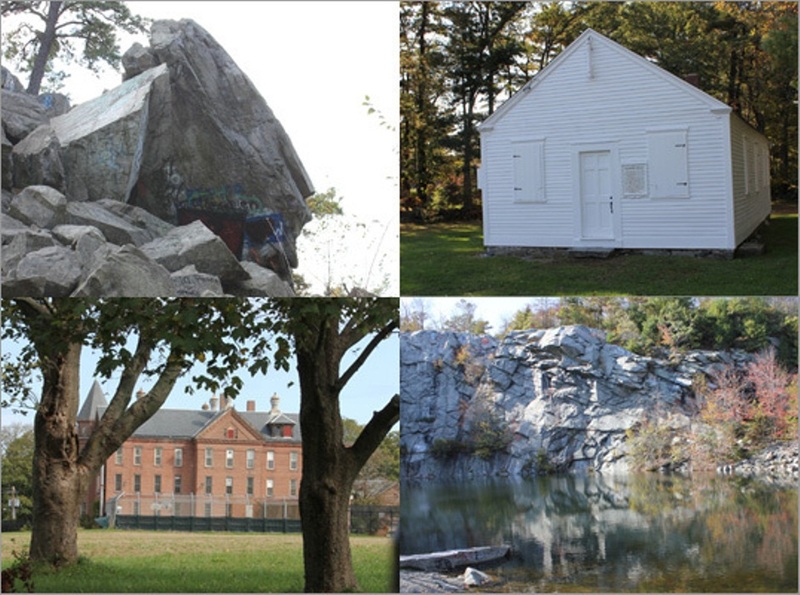 Bridgewater Triangle has become one the world’s most diverse hotspots for paranormal activity.